Let your students experiment with their graphing calculators to create a nice fireworks display? 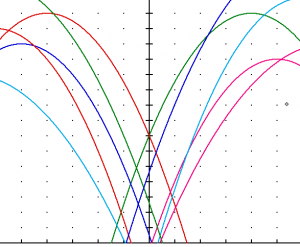 We've written a brief activity that questions students about manipulating parabolas, adjusting their calculator windows, and helping them celebrate whatever. Or consider using Desmos or Geogebra to create these fireworks. Enjoy! 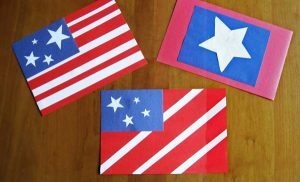 Or you and your students could enjoy some Flag Art - A little ratio art might be a fun way to get ready for July 4th. In this past Memorial Day activity students measure; create whole number ratios for the official U.S. flag; decide how our artistic flags will be different from the official flag; make stars from regular pentagons, and finally create a flag design in honor of the fourth. For members we have an editable Word docx and solution/teacher tips. ← How many cars are there?